Michelle Brown has never met a to-do list she couldn’t handle. And handle it like a boss. She’s successfully wrangled a mix of frazzled CEOs, stretched-too-thin small business owners, daydreaming entrepreneurs, and struggling non-profits. By continually upping her game, Michelle has developed a distinctive diagnostic approach that brings home the bacon (aka the ROI). She uncovers stale costs, renegotiates dated contracts, and brings copious resources to the table. She implements systems and gets the trains running on time. She tames the lions so her clients can get back to doing what they love the most, working ON their businesses (not just IN them). The $10,000 question: who can afford this kind of high-level system dev and strategy consultant? (Frankly, who can’t afford to do it?) And, more importantly, how can we reach those people? In Strategy Sessions, we pulled out all of the ideas swirling around in Michelle’s head and got it onto paper. We got super serious about her 6-year revenue goals and backtracked to plot out reasonable and actionable sales goals for today. Michelle’s Office Solutions needed a Brand Identity, so with the help of studio Calvin Crane Nelson iii, we created some snazzy new business cards and a splash page. We crafted a Sales and Pricing Strategy by putting her 3-Verticals (small business, nonprofit, and retail) in the bullseye of her market target and locking down products & services tailored just for them. The best is yet to come. 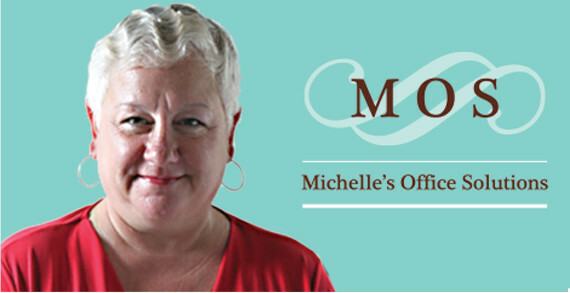 Michelle’s Office Solutions is rebranding as MichelleBrown.consultant. She’s got a new attitude, and that only means one thing: shoulder pads. But also, NEW BRANDED STUFF. Website, one-pagers, and sales scripts, oh my! Be on the lookout for THAT magic, Fall 2017.